show off the plaques they were presented at the luncheon at South Shore Harbour. Anthony Tran of Clear Falls High School was named Clear Creek ISD Secondary Teacher of the Year and Tonia Roque of Landolt Elementary was chosen the Elementary Teacher of the Year as CCISD joined with the area Rotary Clubs to celebrate excellence in education May 11. The six finalists for Clear Creek ISD Teacher of the Year get together for a photo as the program comes to an end. 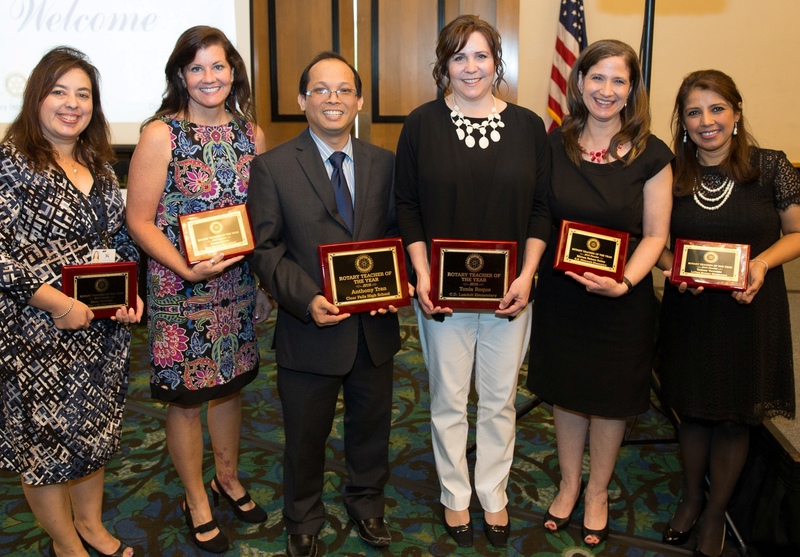 They are, from left, Lindy Goodwin, Clear Lake High; Teresa Cotton, Clear Springs High; Anthony Tran, Clear Falls High; Tonia Roque, Landolt Elementary; Miriam Bailey, Whitcomb Elementary; and Tammy Verstrate, Stewart Elementary. The Clear Creek School District is home to more than 2,700 exceptional teachers, Superintendent of Schools Dr. Greg Smith will be quick to tell you. And, he didn’t hesitate to brag about the educators at this year’s Teacher of the Year Luncheon sponsored by the Space Center, League City and Seabrook Rotary Clubs at South Shore Harbour Resort. Prior to the luncheon, the field was narrowed down to six. Other finalists were Miriam Bailey of Whitcomb Elementary, Tammy Verstrate of Stewart Elementary, Teresa Cotton of Clear Springs High and Lindy Goodwin of Clear Lake High. 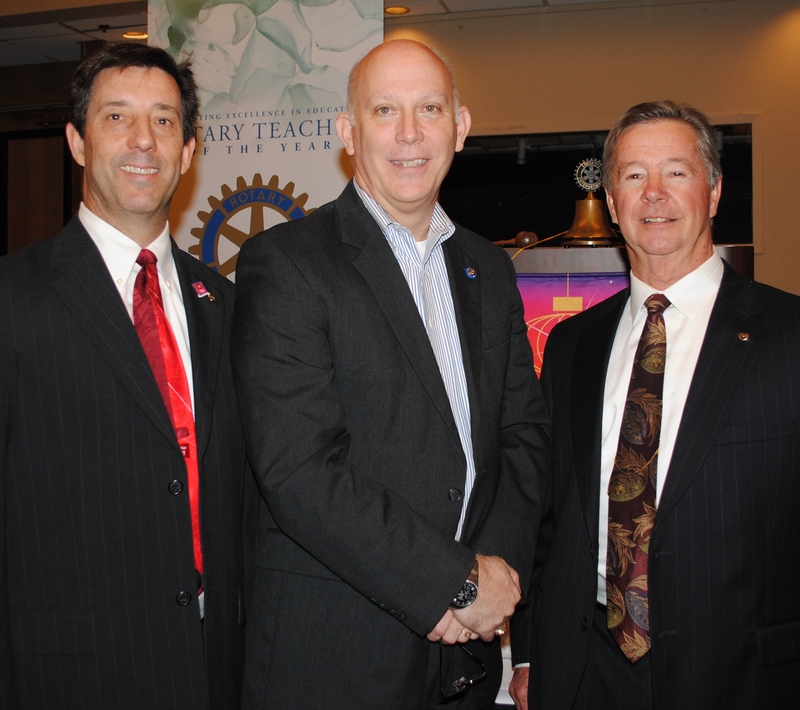 The presidents of the three area Rotary Clubs that hosted the Teachers of the Year Luncheon, Scott Rainey of Space Center Rotary, Roy Green of League City Rotary and Chip Boteler of Seabrook Rotary, from left, confer as the crowd begins arriving for the annual event at South Shore Harbour Resort.